If you’re like me and have dozens of sunglasses lying around, and are in need of an easy storage solution … let me help you! If you’ve read my Summer Sun Essentials post, you know that most of my sunglasses come from flea markets and eBay. With that being said, they’re inexpensive and easily replaceable. However, I was in need of a simple yet effective way to store them. I finally came up with the idea to put my sunglasses in a photo box. I picked mine up at Michael’s on sale for $5! I place my sturdier/heavier glasses in rows at the bottom, and put my thinner/less sturdy glasses above those. I have about 15 pairs of sunglasses in my photo box right now, and could easily fit 10 more. I’ve been storing my glasses in this photo box for the past few months, and haven’t had any problems. None of my glasses have broken, or been damaged in any way! I also love how my photo box it looks on one of the shelving units in my room – Cute and easily accessible! You can also store yours under your bed, or wherever you see fit! I hope this post helped some of you out. 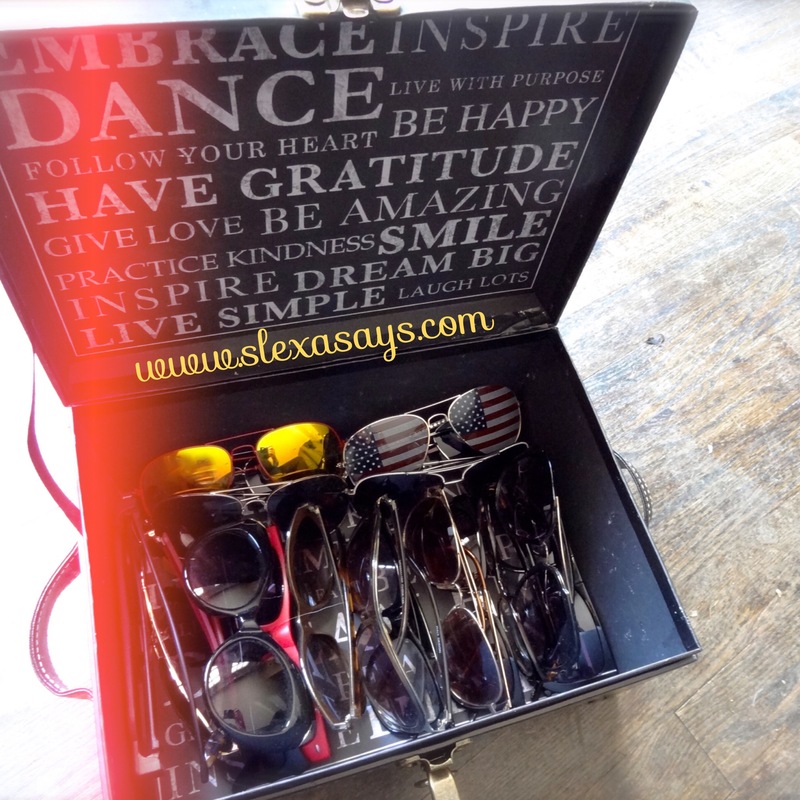 Let me know how you store your sunglasses! Great idea! I have a tiny collection so I don’t need a big photobox!